As your hosts, Kevin and Elsie provide a warm and welcoming stay. Watch the sun rise and listen to the birds as you lie in bed! This spacious suite is the only one on the lower level and is completely private with a lovely covered patio. 55m² in size and has a separate entrance and free wifi. The suite is 50m² in size and has a separate entrance and free wifi. 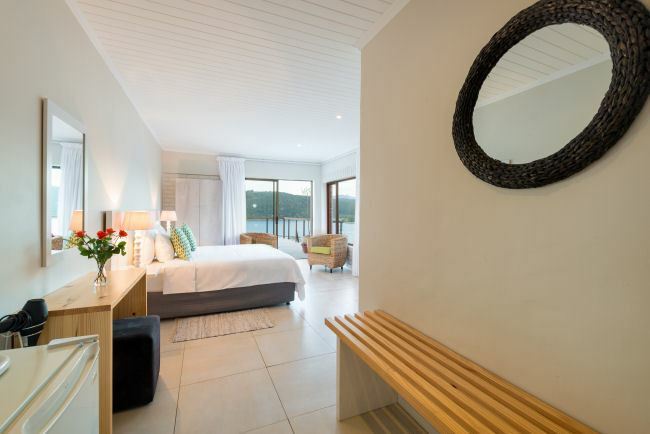 The private deck has an amazing view of the mountains and Island Lake which is part of Wilderness National Park. This is a suite for two and is 45m². The bathroom has a shower and a "loo with a view". 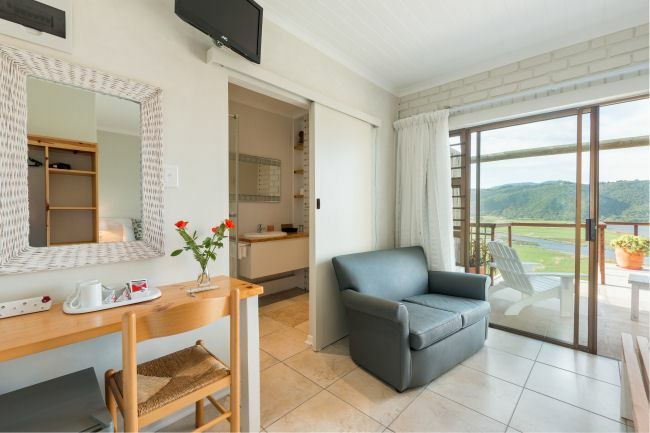 The suite has a large deck which is perfect for a sundowner. It has a separate entrance and free wifi. 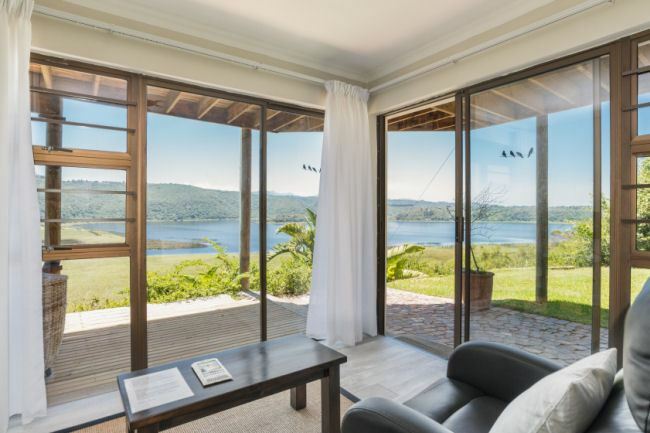 This cosy room enjoys the same stunning views and is 20m² in size. 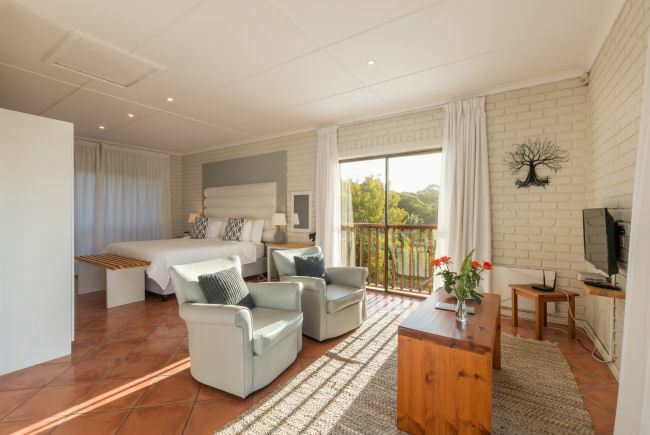 The room has its own entrance, the en suite bathroom has a shower and free wi fi is available.